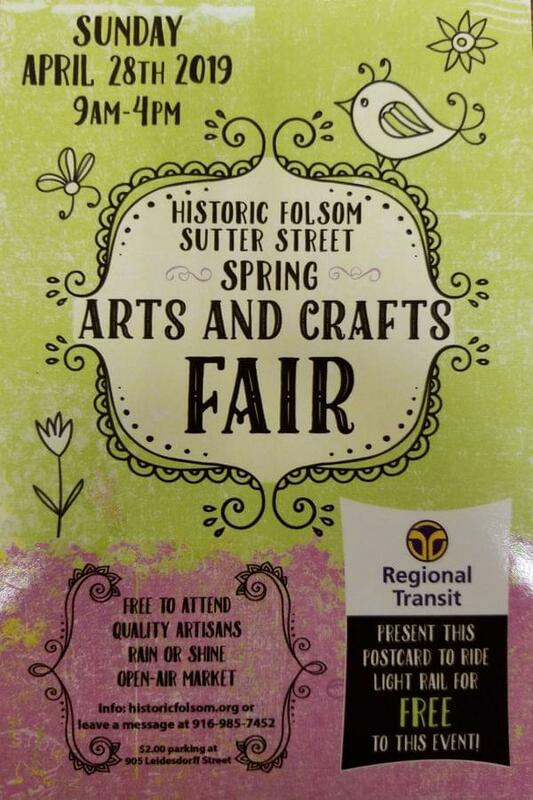 For more than 52 years, Historic Folsom has been hosting this popular and FREE event. Need one-of-a-kind gifts for a birthday, graduation or Mother's or Father's Day? You'll find it at this event. With more than 200 vendors and your favorite Historic District merchants and restaurants, make it a day with your friends and family. FREE round-trip transportation via Light Rail upon presentation of a Spring Fair post card or via this post on your smartphone. Parking garage located at 905 Leidesdorff St in Folsom; parking donation of $2.